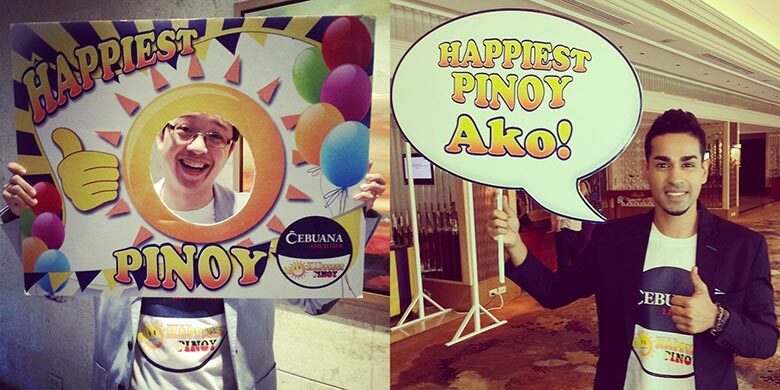 Recognizing the impact and influence of social media to Filipinos nowadays, Cebuana Lhuillier has tapped two social media personalities to serve as the Search for the Happiest Pinoy ambassadors online. As ambassadors, they will help spread the advocacy on social media. They will also be a part of the initial committee that will screen the entries and shortlist the Top 20 nominees from the pool of entries. A professional event and TV host, RJ Ledesma is the co-founder and organizer of Mercato Centrale, editor-in-chief of UNO Magazine, a lifestyle columnist for the Philippine Star, and an author of five best-selling books. A pure-blooded Indian with a Filipino heart, Sam YG, also known as his alter-ego Shivaker, is a TV host, a comedian, and a radio DJ.